Rush Maintenance Heating and Cooling are a Locally, Family Owned and Operated, Full Service Evaporative Air Conditioning and Heating Contractor serving El Paso, Texas and the surrounding communities since 2004. The owner of Rush Maintenance personally supervises every job. He has over 30 years experience in Cooling and Heating and is ready to put that knowledge and expertise to work for you! We have many satisfied customers. You can read what just some of them had to say here and references are also available on request. We offer all Heating and Evaporative Air Conditioning Installations, Repairs, Service, Maintenance, System Adjustments, Cleaning, Upgrades, Retrofitting and Troubleshooting. We have the right tools, vast knowledge and proper training necessary to handle jobs of any size. We specialize in Evaporative Cooling aka Swamp Cooling and Forced Air Furnaces and we offer Free Estimates on all of our services. We are always available from 8am-5pm Mon-Sat and as an added convenience to our customers; we are available from 8am-5pm Sundays as well, for service on Evaporative Cooling (or Swamp Cooling) for a limited time. Contact us for details! 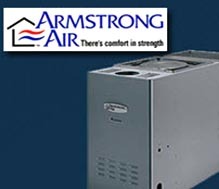 Our preferred brands are the extremely energy efficient Concord and Armstrong Air furnaces but rest assured that we service all brands, makes and models. 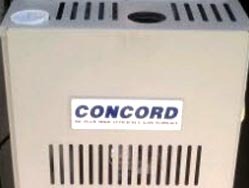 We invite you to save money on your gas bill by converting your old inefficient furnace to a very affordable 80% efficient Concord furnace. Call us for a free estimate and we will show you just how affordable it can be for you! We offer Residential and Commercial service of all brands. 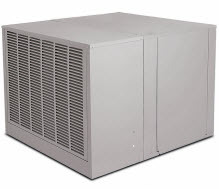 Rush Maintenance Heating and Cooling are Licensed, Bonded and Insured. License #TACLB27006E. Evaporative Cooling, also known as Swamp Cooling is our Specialty. Our preferred brands are Aerocool, MasterCool, Phoenix Coolers and Champion Coolers but we service all brands, makes and models. We are always available from 8am-5pm Mon-Sat. During the furnace start-up pre-season, we are also available on Sundays by appointment. 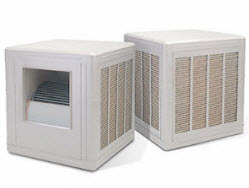 Now is a great time to Winterize your Evaporative Cooler and switch over to heating. We offer a full inspection of the operation of your furnace. Call us for details!